A life insurance company wants to track your activity using wearable technology such as Fitbits. How active are you? Your life insurance carrier may soon have the data to decide. 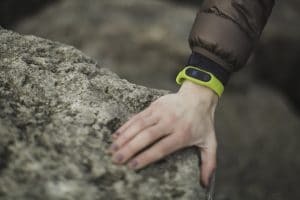 John Hancock, one of the largest life insurance companies in North America, will stop selling traditional policies in favor of offering interactive policies that track health and fitness using wearable technology such as Fitbits. The life insurance moves are part of a larger trend in the insurance industry of incorporating modern technology into a traditional industry. Part of that collecting data to determine discounts. About a month ago, Root Insurance attained a $1 billion valuation after raising $100 million from venture capitalists. That company uses an app to measure safe driving and dole out discounts arising from the data.